Linguaviva, established in 1976 provides professional job and leisure oriented training to adults for languages, IT, Social Media. Our trainers are mother tongue and business professionals with all qualifications, certification and many years of teaching experience. 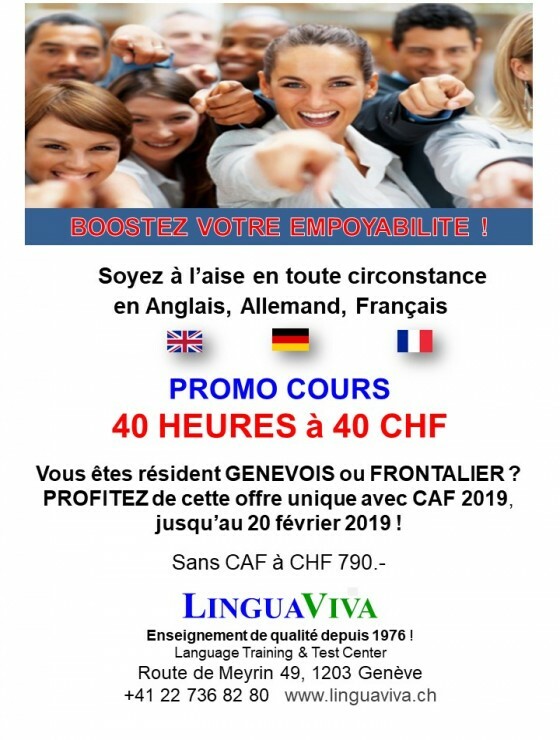 Get February special for French, German and English classes: 40 hours at CHF 40.-. Book Now !